I imagine sister Finland coming in and Sweden being all like: Oh god, not you too! 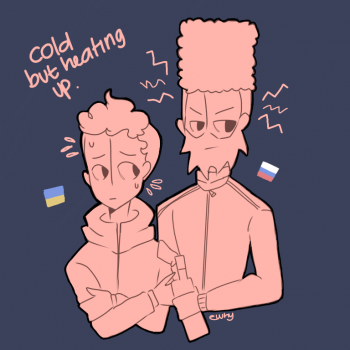 I feel like Åland has a valid point tho. It would be a bit weird finding out that your boyfriend was unwittingly married. Plus there's all that nonsense with Sister Finland that Sweden only did to pretend he wasn't gay. Poor Åland. 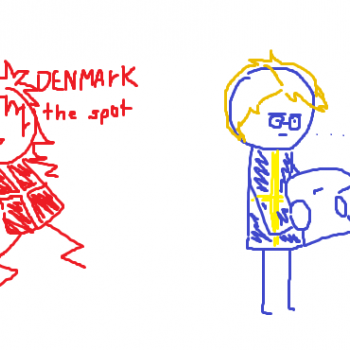 @ScottishHetalianCat And Aland doesn't even know about that time Sweden cheated on him with Finland. Aland must be either really patient or really in love with Sweden. I feel so bad for Norway! He just wanted Sweden to remember his anniversary! @ApplesRock Sweden can be quite the crappy boyfriend sometimes. @ApplesRock Sveden is chaetin on Nowai withut raelazin eit. @Topazgirl9 Well it was a shotgun marriage(for what I know that's what it's called) so most did. @Fluffkin For it to be a shotgun wedding one of them would have to be pregnant, which... erm... Also the bride's angry father needs to be holding the shotgun.